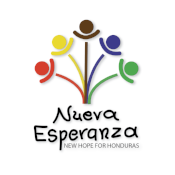 Nueva Esperanza would love to welcome you to the team house for a visit to the ministry. We are equipped to provide a comfortable place to stay when you are not serving at the ministry. Your visit will include various events such as: taking our children on a field trip, visiting a child’s home, and other activities with our children and youth. More information will be given as we work together to bring you and your team to Honduras. Check the calendar below to see available dates for your trip. Nueva Esperanza establishes a ground fee that covers all costs of activities, transportation, and lodging. The fee may vary depending on the size of your team and the activities you wish to incorporate during your visit. Airplane tickets must be purchased separately and spending money is at the discretion of the group. If you’d like more information on costs or what a week in Honduras might look like, please contact us. Want more info on a work week at Nueva Esperanza? Here is our work team orientation packet!